India Post offers Aadhaar delinking and creation of savings accounts without Aadhaar - Aadhaar FAIL! India Post website appears to have added the option to de-link Aadhaar to their form for Aadhaar linking. 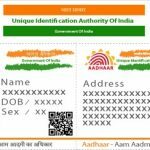 This is actually a requirement for AUAs and KUAs according to the rules, which is being ignored in the push for linking Aadhaar with everything, as we pointed out in the post for PayTM users concerned about their Aadhaar being linked with their PayTM accounts after the Cobrapost investigative Operation 136. 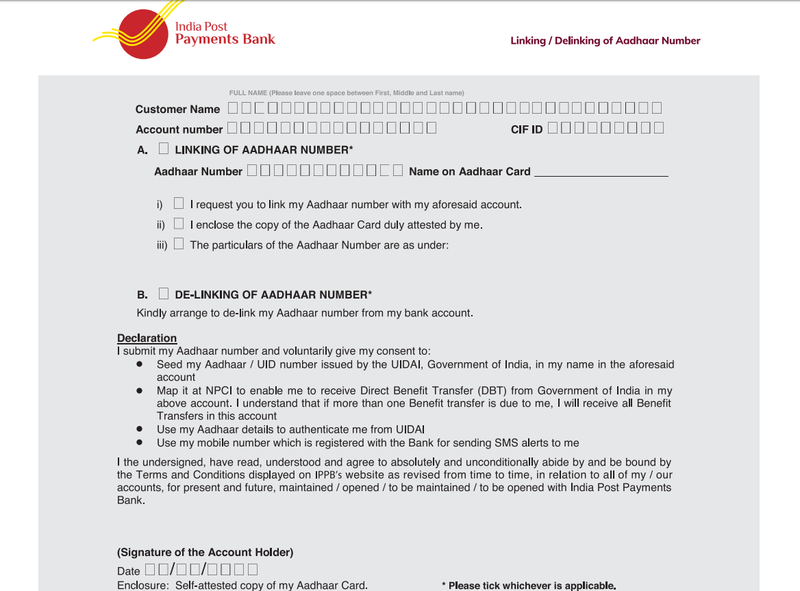 The form still seeks consent to use and link Aadhaar information, which is absurd, since the whole idea behind delinking Aadhaar is to refuse that consent and India Post should correct the form accordingly, but still, whatever fine print, many people discovering the harms of Aadhaar only now are finding themselves trapped with no option to delink and this will bring important relief to the customers of India Post who do not wish to link their Aadhaars with their savings bank accounts. 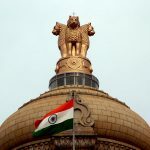 India Post also offers separate forms for creating savings accounts for those who wish to create them using Aadhaar and PAN and those who want to use other Indian government identity documents. 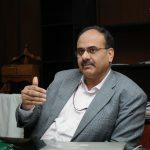 It is not clear whether this is a new development or was always available to customers of India Post, but we find it noteworthy and important in giving users choice over the documents they want to use to identify themselves, in line with the RBI’s original master directions specifying KYC norms. With India Post leading the way, we expect other banks to follow suit. Stories filed by volunteers on AadhaarFail. A welcome step by India Post Payments Bank. However, the declaration part is quite dangerous, especially for someone who wants to de-link Aadhaar. For such user, the declaration should come from IPPB stating that they will not share any data of the user with anyone, including UIDAI and NPCI.